Is Singapore PR Beneficial for Me and My Family? Are you keen to work and live in Singapore? Or better yet, become a Singaporean citizen? You’re not alone. There is a very good reason why Singapore’s passport remains one of the most highly sought-after passports in the world. Ranking 6th internationally along with Greece and Australia thanks to the unrestricted access the passport offers, it moved up two sports from its 8th place in 2012. In 2012, holding a Singaporean passport meant access to 161 countries. In 2013, holding this passport meant visa-free access to 167 of 219 countries surveyed in the latest Visa Restrictions Index. Why Singapore is a Desirable Destination? Singapore’s government goes to great lengths to attract a talent pool that can contribute to the growth of its economy. The government is keen on encouraging foreigners to make a home in Singapore by increasing the incentives and benefits available for its citizens. Foreign talents are a valuable resource in Singapore. Entrepreneurs and other potential hopefuls who wish to make the move into Singapore by living and working (and eventually getting a PR) would need to take the first step in the process, which is to acquire a valid Singapore work permit. There are three options of work permits to choose from – the Entrepass, Employment Pass (EP) and S Pass. The Employment Pass is generally the most desired option, especially for those who eventually with to apply for a PR in Singapore as they do if they have been in Singapore for three years on the EP pass. For those who are not familiar with what the EP is, it is Singapore’s main type of work visa that is issued to foreign professionals, employees, managers, owners and/or directors of Singaporean companies. The EP is Singapore’s most desirable work visa as it was designed to cater for international executives, managers and even specialists in their field who wish to live and work in Singapore and contribute to the local economy. Among some of the benefits that EP holders stand to gain include hassle free travel in and out of Singapore, working for up to 3 years in Singapore, bringing in family as dependents, better pay and tax brackets, pursuing PR after fulfilling the requirements and even the option for the holders to start their own business. Singapore recently introduced some changes to their EP eligibility criteria as of 1st January 2017, so foreigners who wish to apply for the pass would need to check online if they are eligible for the pass using the Ministry of Manpower (MOM)’s online self-assessment tool if they want to be sure. There is also the option of applying for a PR in Singapore through Singapore’s Professional, Technical Personnel and Skilled Workers (PTS) Scheme, or the Global Investor Program (GIP) Scheme. Known more commonly as the PTS scheme, PTS is designed to let individuals who already hold the S Pass or EP grab on to the opportunity of becoming part of Singapore’s permanent residents. Under the PTS scheme, the applicant’s spouses and children who are aged 21-years and below can also apply for the PR status. Unmarried children who are over the age of 21, parents and in-laws will not be able to qualify for PR under this scheme with the applicant, but there’s no need to worry as they are eligible instead for the renewable Long-Term Visit Pass (LTVP) which is valid for up to 5 years. Male dependents who are granted PR may be required to take part in Singapore’s National Service program. Applicants who wish to apply for a PR in Singapore should ideally be working in Singapore for at least 12 months prior to submitting an application with the Immigration and Checkpoints Authority of Singapore (ICA). For those with the means to invest a small fortune in Singapore, the GIP scheme is the one for you. GIP is also known as the Investor Scheme because it requires the applicant to invest a minimum of SGD2.5 million to get started. Paul Hype Page & Co have our in-house licensed employment agency registered with the Ministry of Manpower and offer a full spectrum of work pass services. We will provide a thorough assessment of all factors of your application and ensure that they meet MOM current standards of review. Our reliable guidance and high success rate come with years of experience and continually staying abreast with Singapore’s immigration regulatory updates. 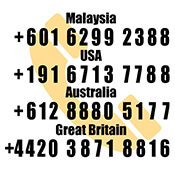 Call us at +65 6221 4711 or contact us now for a free consultation.